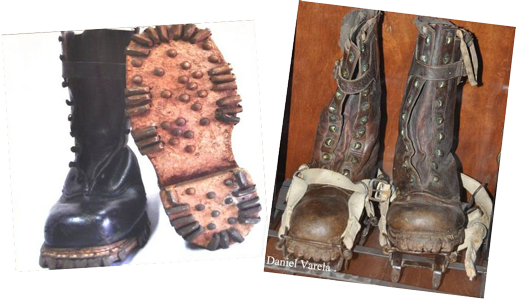 The European influence (Swiss, German and Italian) can also be seen in the Argentinian mountain boots, which actually were just the copies of specialized mountaineering footwear of these Alpine countries. 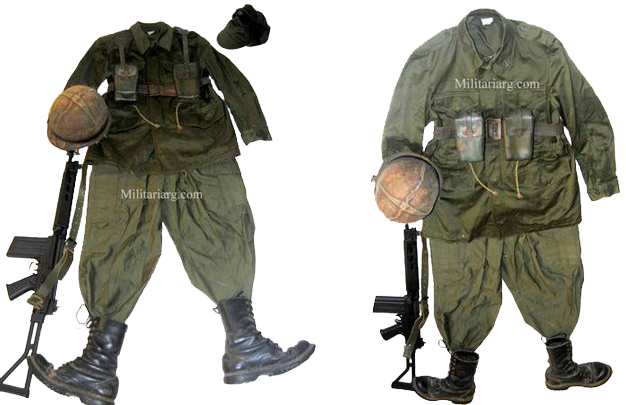 This is not surprising, because many of the military officials who make decisions on the uniform and equipment, had studied and trained in Europe, so they had a chance choose the best and most successful, in their opinion, examples. 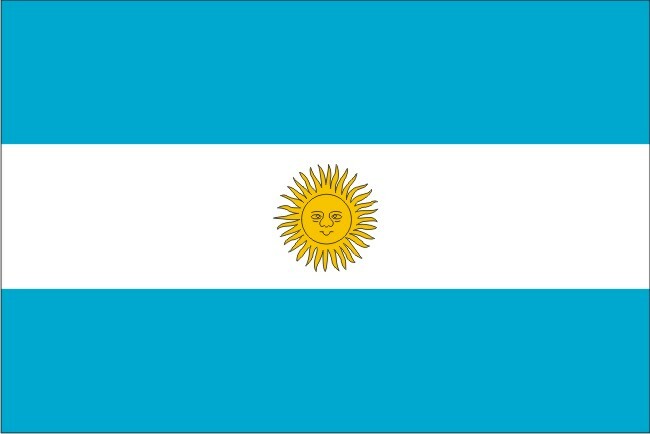 Even Juan Per ón, the famous Argentinian president and dictator (who ruled the country in the years 1946-1955 and 1973-1974), was an Argentinian military attache in the Fascist Italy. From February 1939 to May 1940, Juan Per ón, who had the rank of colonel at that time, took training in Alpine troops of the Italian army. Then he visited the Third Reich, being interested in the secret of Hitler's military successes. The identity of Perón was undoubtedly influenced by his studies of social policy of the Italian fascists and of armed forces organization in the Nazis Germany. Later Perón tried to implement the lessons learned to restore the strict order, which, in his opinion, Argentina needed most of all. 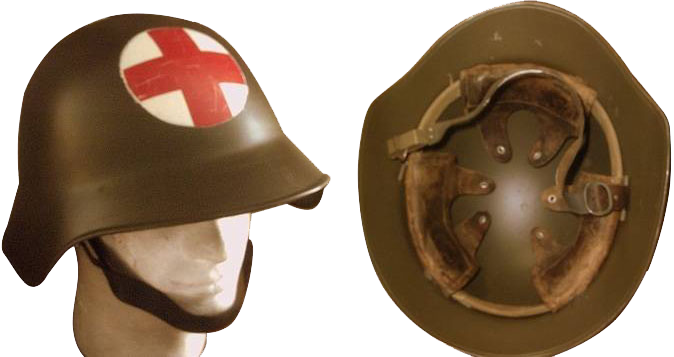 The European influence can be seen in the other elements of uniforms and equipment. 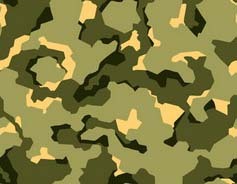 It is worth mentioning that, like many other armed forces of the post-war Western Europe (e.g. Norway, Greece, Italy etc. 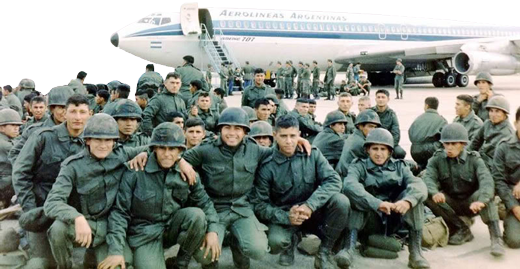 ), from the mid 1950s to the mid-1960s the Argentine paratroopers wore British style short jackets type R-40. This jacket, more known as the "Austerity pattern jacket", i.e. 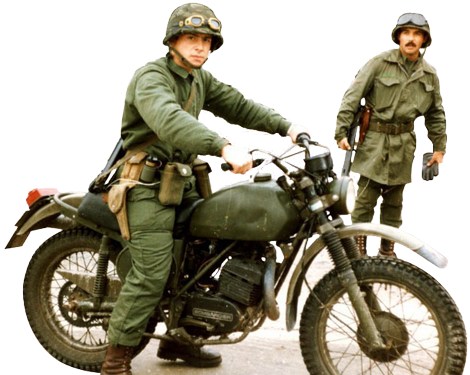 the jacket of "ascetic" or "economical" cut, was used in the Armed Forces and the National Gendarmerie of Argentine prior to the adoption of the Argentine version of the famous olive-green M65 US Army jacket. 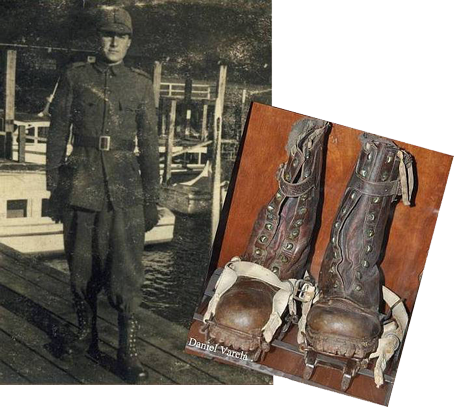 The Argentine paratroopers made use of quite interesting element of feet protection from injuries, sprains and bruises - a kind of gaiters to be worn over combat jump boots, and made of thick solid light-coloured leather. 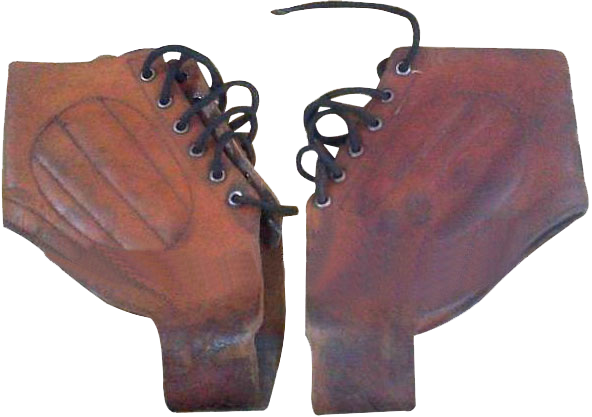 These gaiters are fixed on the ankles with the help of lacing system, consisting of six pairs of round eyelets. The malleolus bones of the feet are protected with soft pads, sewn on the both sides on the gaiters.